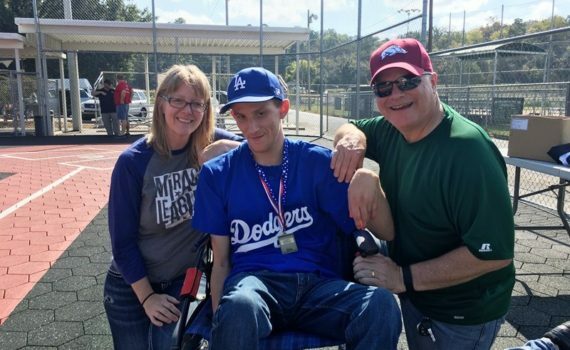 The Miracle League offers my son an opportunity to participate in something that belongs to him. We started Miracle League in Jonesboro when that field first opened in 2013. Right after that we moved to Heber Springs so he didn’t really get to play there. After we got settled, the first thing that I searched for was another Miracle League close by. I found you online and signed up right away. Anthony’s first couple of seasons, it didn’t really click for him. I wasn’t really sure that he liked it. Then last season, Fall of 2016, it clicked. You see, I know that Anthony can do a lot of things if he is just challenged. Not everyone around him knows that so I decided to challenge him. I talked to Coach John and told him that we needed to find a way to challenge him to do this on his own. He was totally on board and said, “You just tell me what you want to do and I’ll do it.” Right after that is when Anthony “ran” home for the first time on his own. I will never, ever forget that day. And what made it all the more special is that everyone at that field that day was just as proud as me. Peggy, Coach John, his buddies were all cheering him on and his smile on that day will never leave my mind and my heart. After that it was “game on”. 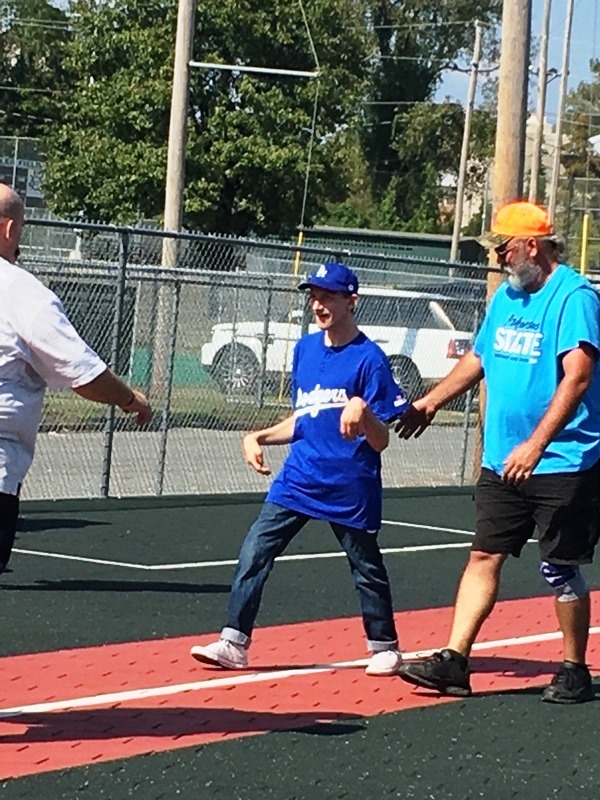 I am truly grateful that I found the Miracle League because it has given my son something that he now loves. We go out to practice holding the bat and he is very excited. I will continue to bring him and help him grown for as long as he desire to do so. Thank you so much for believing in him.